It’s a very serious condition that can’t seem to be avoided, staved off, prevented. It leaves everything a complete mess, the stash, the desk, the bookshelf. 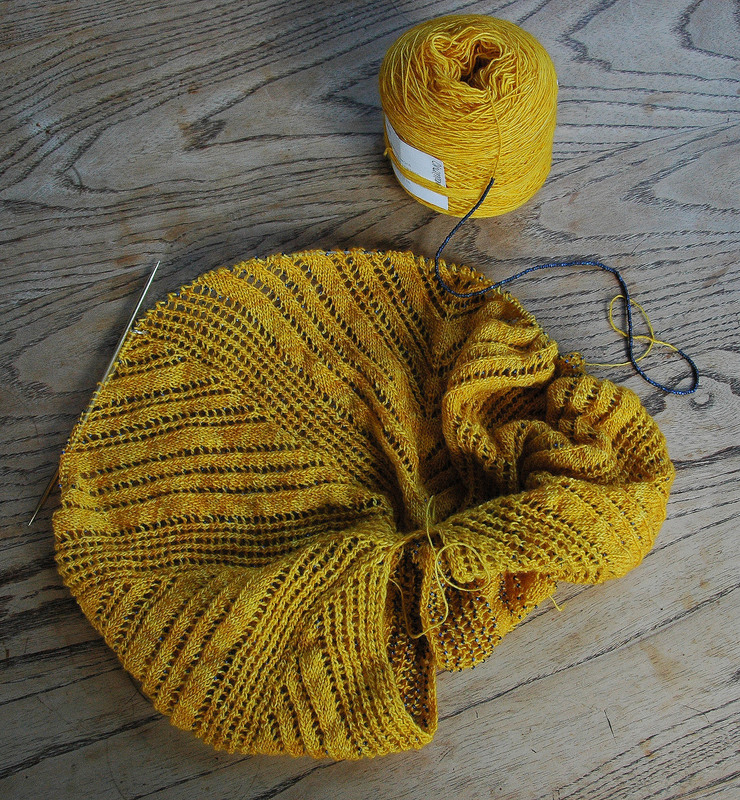 It’s ruthless, and before you know it you have four simultaneous shawls in the works, (or maybe that’s just me). 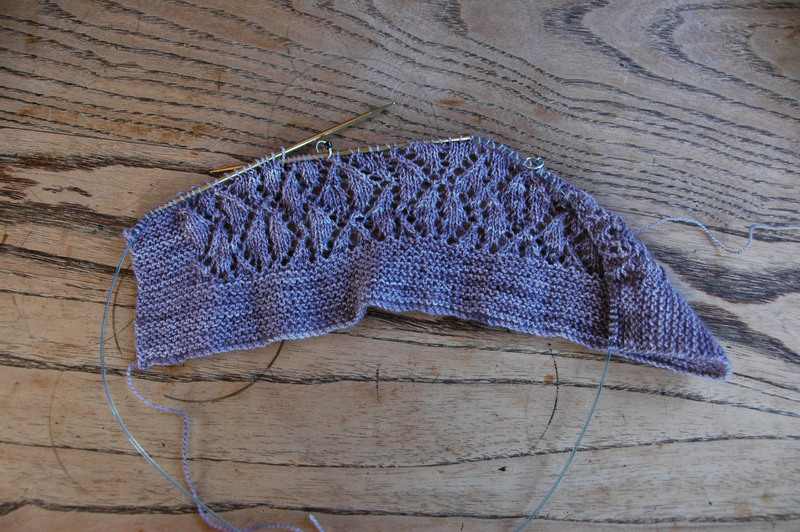 The Tosh Prairie, and beads got cast on, into crescent shaped shawl. Every yarn over has a bead in it (what was I thinking). Even though you can’t see them right now, they are there, and hopefully everything will open up in the blocking, they’ll become visible and I won’t have to rip all my hair out. Fingers crossed. This is the ponycorns handspun from the last post, in the same pattern as the Prairie (no beads this time), because I wanted to see if the pattern would hold its own in an extremely busy yarn. I think it’s working out, but I want to put a couple more inches on it before I fully make up my mind. Fingers crossed on this one too. 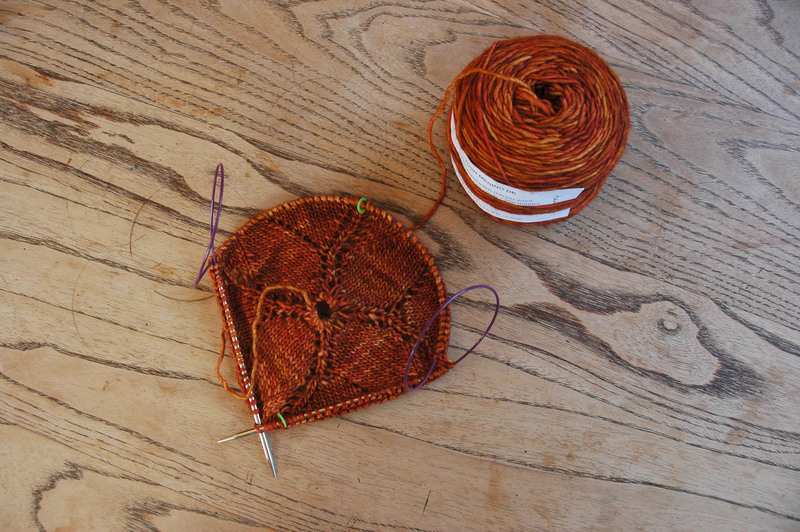 I bought three skeins of this yarn (Tosh Merino DK in hearth) at the end of the summer fully intending to knit up a completely different shawl. 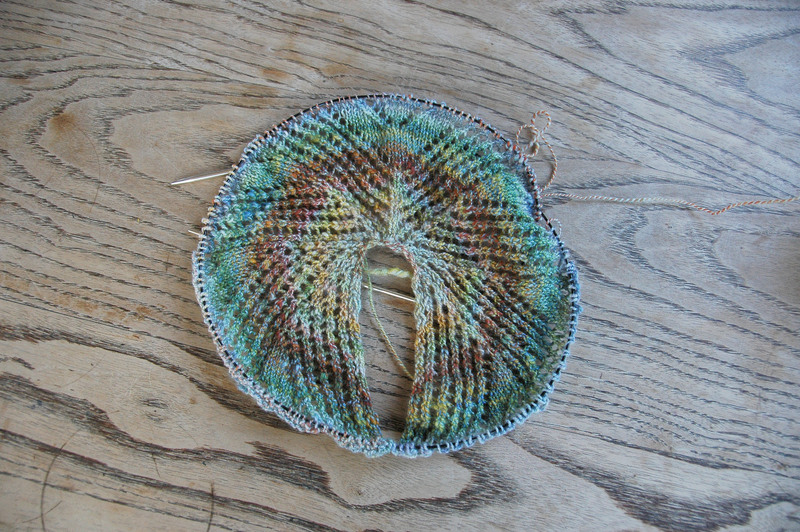 I even cast on and got through most of the first skein before deciding that, that shawl simply wasn’t working. So it’s now destined to be a large, cozy, blanket masquerading as a large, cozy, socially-acceptable-to-wear-out-of-the-house, shawl. Hopefully this time yarn and pattern will match. But sadly all these new shawls mean that my mittens have sort of (read: completely) fallen aside. 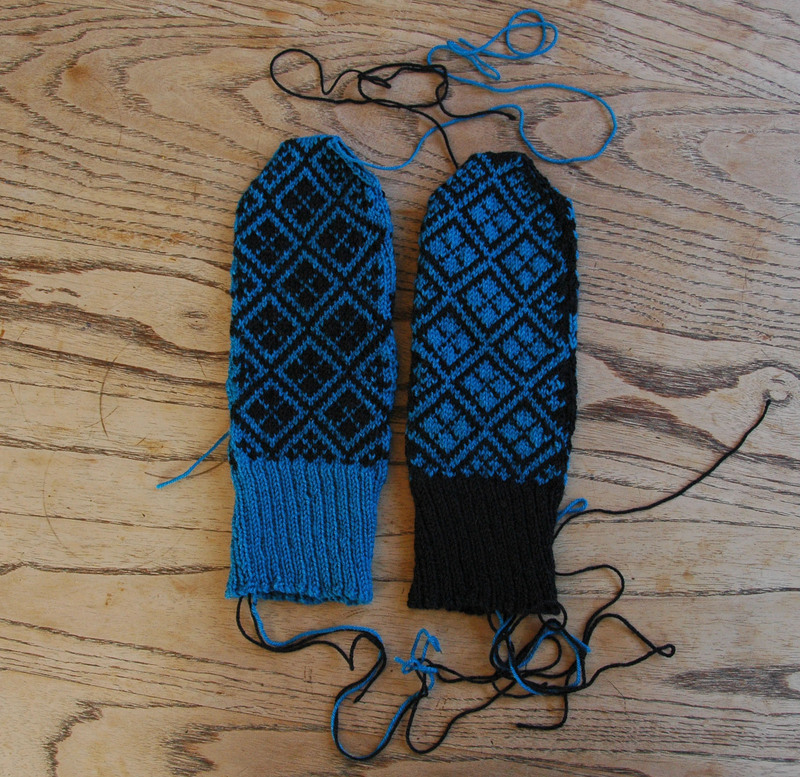 Though they have progressed, and now have all their fingers, those ends are looking very daunting at the moment. 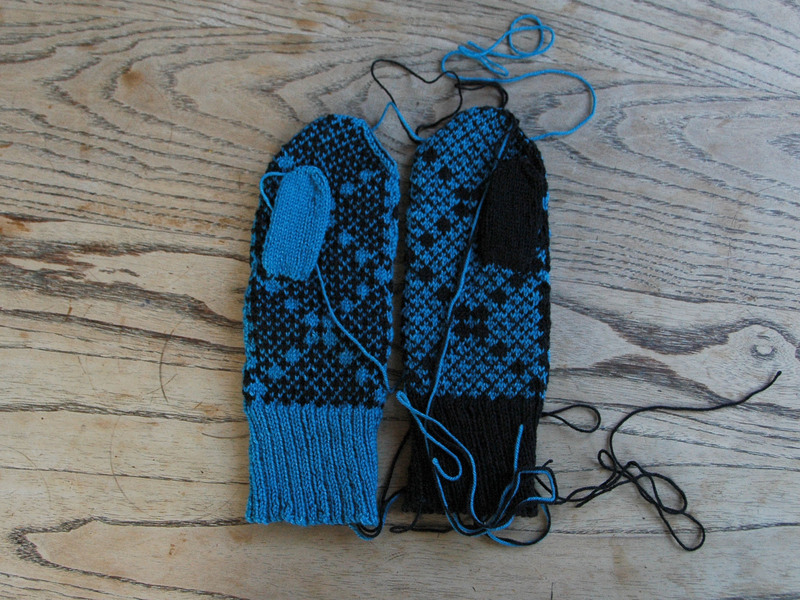 Maybe in a few days, once the temperature has dropped and I really want a new pair of mittens, I’ll come back to them. But for the moment at least I’m quite content in my world of lace.